The Elephone S8 has a lot to offer under £200, including a large, very decent 16:9 Quad-HD screen, but it's not the upgrade to the Elephone S7 we were hoping for. Its design is a real departure, more Mi Mix Mk II than Elephone S7 Mk II, and it loses nice touches such as the microSD slot and headphone, while upgrading the battery, charging port and cameras. 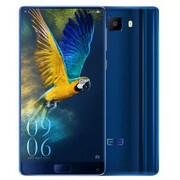 Blessed with a fantastic screen and a very reasonable price point, the Elephone S8 comes highly recommended in the realm of budget blowers, even if it does lack some creature comforts. All in all, I love the look of this phone. It might not be as fast as the 6GB phones I mentioned earlier, or have as many extra features as the Doogee range of phones, but for everyday business use, this phone has everything you need, including a USB-C connection and a 4,000mAh battery with quick-charging capability. 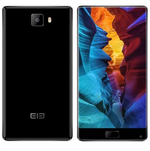 Was taugt ein Phablet zum Sparpreis? unknown: » Further information can be found in our Comparison of Mobile Graphics Cards and the corresponding Benchmark List.